Problem with uploading a scan when listing a item on auction. I had the same problem a few weeks ago when I wanted to list new auctions. I can't upload scans under "Describe your item". When the window "Image Properties" open to upload an image the screen goes grey. Then I got to reload BOB and start all over again. I get the window to upload the scan but at the bottom where there is suppose to be "OK" and "Cancel" the "OK" is missing. 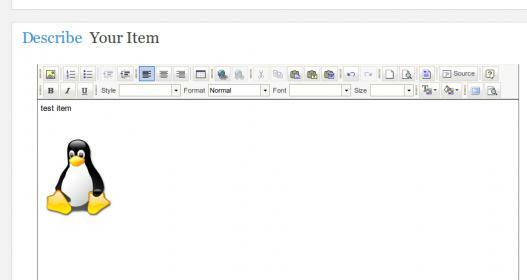 Also the Toolbar is not complete in that section. Only the top line and the 1st group on the second line is visible. I did try to contact the "help" section but I only got an automated e-mail with a reference no. and the office close at 12 noon. What browser are you using? Have you updated it recently? I have tested it now with Firefox and it is working fine. I use G Chrome and I've cleared the cache. But the same thing happend a few weeks ago and it corrected itself after a few days. My problem is that I need to list some items before the week-end (going away for a funeral). Did you manage to sort it out? For some reason I too, when using Chrome, cannot place any images on ads. I always have to use Firefox for this purpose. I also use Chrome and i uploaded all my new images just fine. I was uploading from around 10am till about 11am. It must be a browser issue, possibly a security setting, it's difficult to say without seeing the actual scenario. No, I just checked and still it does not work. I'm not that computer literate so not sure what else to do. I believe a lot of people are having problems with internet for the last couple of days. Maybe that's the problem. Ok, I went to Firefox and got one item listed - it took me nearly an hour just to do the one. So I'm calling it quits for the night. Hope it work tomorrow. The internet is very very slow. 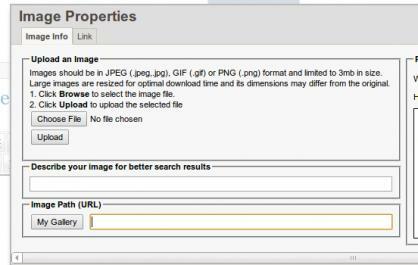 Just to clarify, you are having trouble uploading images into the "Describe your item" box? Fill in all you details, and when you get to the "Describe your item"
Then click on "OK" at the bottom if Images Properties, and now your image should show on the "Describe your Item"
That's exactly how i do it, lol. Might be the internet connection. A slow connection can do that, happened to me when we had a storm here. Couldn't upload for 2 days. Thanks for that but personally I think Chrome is cursed.....sometimes it works, sometimes it doesn't :blink1: Firefox though, never lets me down.